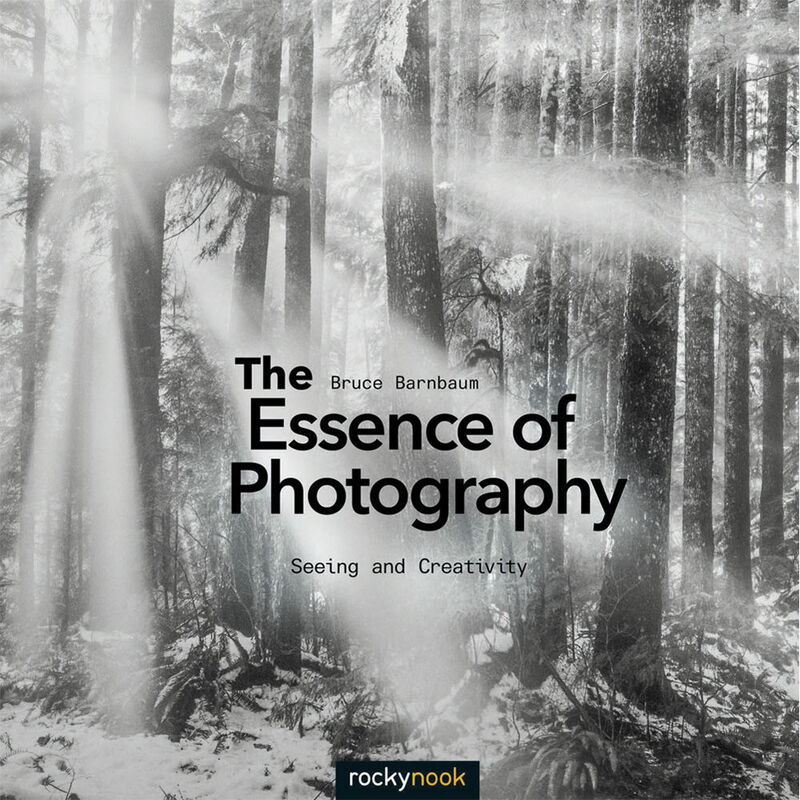 The Essence of Photography: Seeing and Creativity from Rocky Nook is an in-depth guide that covers how the ideas of seeing and creativity apply to photography. As every photographer knows, there is more to taking memorable photos than simply pointing the camera at something and pressing the shutter button. Creating a great photograph requires thought and preparation, an understanding of the photographic process, and a firm grasp of how light, composition, and timing affect a photo. There must be experimentation as well, and the recognition that only a small percent of these experimental photos will end in success. In this book, best-selling author, world-renowned photographer, and teacher Bruce Barnaum explores these issues by drawing on firsthand experiences and observations from more than 40 years of taking photographs and teaching. Bruce also uses painting, music, and writing as well as science, business, and marketing to provide relevant examples of original thinking. It is often assumed that seeing and creativity cannot be taught or learned, that they are innate, but with Bruce's method of thinking and teaching it becomes apparent that this is a fallacy. Teaching the concepts of seeing and creativity may be difficult, but it is far from impossible.